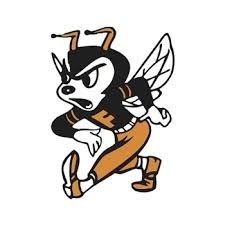 The Yellow Jackets from Fredonia High School have finished their 2018 regular season at 5 and 3, and 4 and 3 within the Tri-Valley District. That finish lands them a home game for the first round of the postseason. They find themselves in the 4th quadrant of the 2A Bracket and will host the Anthony-Harper-Chaparral High School Roadrunners. Fredonia coming off a tough 2 weeks as they’ve lost two straight games, first against a tough Douglass team then last week against rival Neodesha. Yellow jackets have a tough test again Friday as the Roadrunners come to their home field at 6 and 2 on the year, as speaking with coach Marc Svaty, he knows A.H.C High School is a very physical ball club. They are ran by a very talented quarterback that has ran and thrown the ball very well through 2018. They hope to make the Roadrunners beat them with someone else besides the SR. QB, as well as continue their dominant run offense. Fredonia runs the wishbone run offense better than most but they continue to look to throw the ball a few more times and catch the opposing team off guard. Coach Svaty says his guys are excited to get back on the football field and back on the winning track, a tough test ensues but if they can win the possession battle and avoid big plays against them, the Yellowjackets look to move to the next round where they’d meet either Eureka or Conway Springs. We will have the Fredonia VS. Anthony-Harper-Chaparral game this Friday on Greatest Hits 104.1 FM KGGF, from Fredonia pregame at 6:45, kickoff at 7PM. © Copyright 2019 KGGF-AM KUSN-FM KQQF-FM KGGF Classic Hits - FM Built on Envisionwise Technology. Administrator Login.